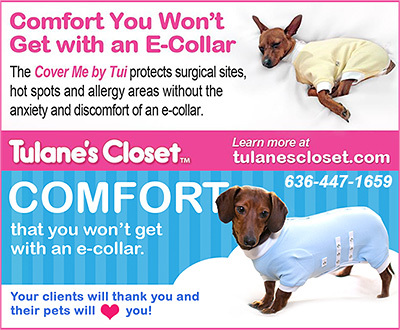 E-Collars and Alternatives to E-Collars for your dog are in this section, along with information on affordable companies that provide these products. Alternatives to Canine E-Collars can be more comforting and comfortable for your dog. E-Collars or their alternatives, play an important role in protecting your dog from chewing on stitches, sutures, or even soiling your furniture and flooring.